EVE SELIS started her musical career in the San Diego cover band Heroes. In 1998, she left the band to pursue her solo career and, in 2000, she released “Long Road Home” on Stunt Records. She has since released four albums, has been downloaded 2 million times, and sold 40,000 CDs. Her music has been in several independent movies and she has performed on CNBC, ESPN and BBC. Her latest album, Angels and Eagles, was released in 2008. She won Best Americana or Country Album at the 2008 San Diego Music Awards and Best Americana at the 2010 awards. 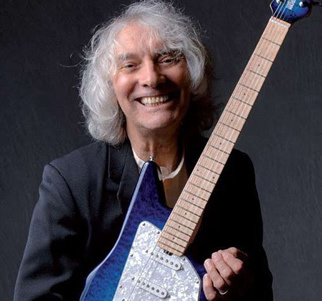 She performs at Anthology with finger style guitarist Albert Lee. Lee performed on with Deep Purples Jon Lord and appeared on a live recording for the band. In 1974, he joined The Crickets and cut three albums together before playing in Emmylou Harris’s Hot Band. In 2002, Lee won a Grammy for Best Country Instrumental Performance.